Strong earthquakes which also caused tsunami and land liquefaction on 28th September last year resulted in lost lives of over 2,100 people, and more than 1,000 people are still reported to be missing. 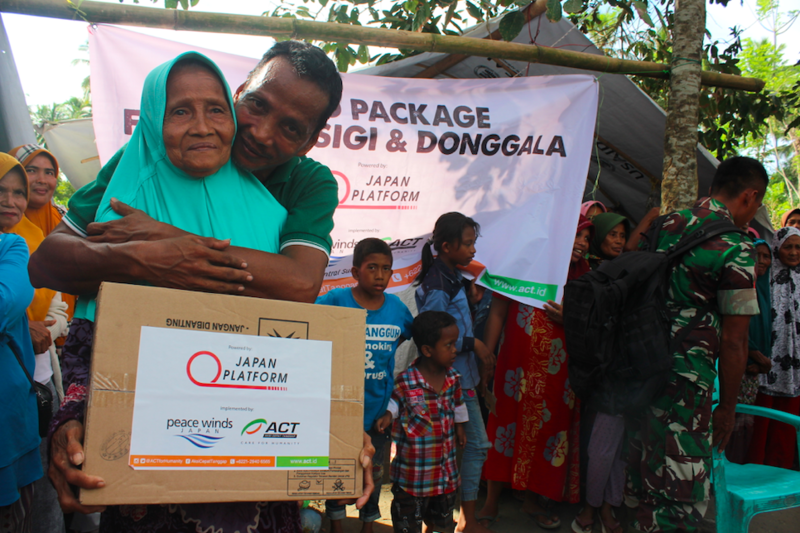 PWJ with our partner ACT (Aksi Cepat Tanggap) just completed distribution of food and kitchen sets to 6,300 families from Palu, Sigi. and Donggala area whose houses were severely damaged or completely destroyed by the earthquake and tsunami. “I’m so glad to receive a gas stove. 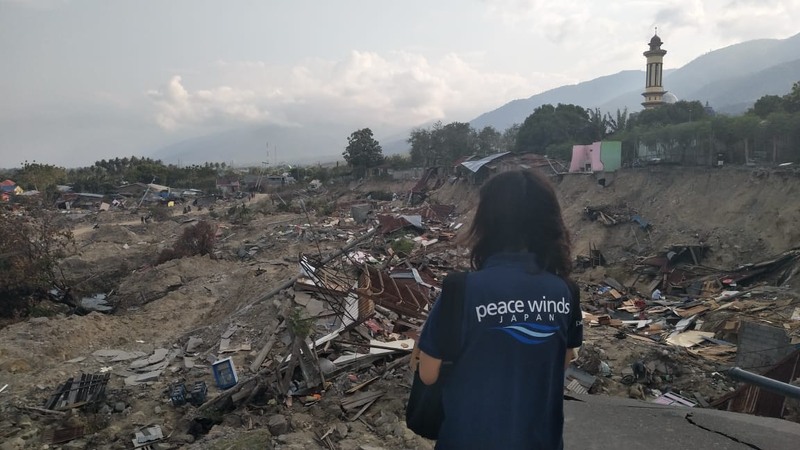 After the earthquakes, we have been using woods collected nearby to cook, but it gets very smoky,” said one of the beneficiaries from Mamboro area in Palu where more than 100 families lost their houses by tsunami. Before this disaster, there were more than 200 households residing at this area but over 100 houses were completely destroyed by tsunami. 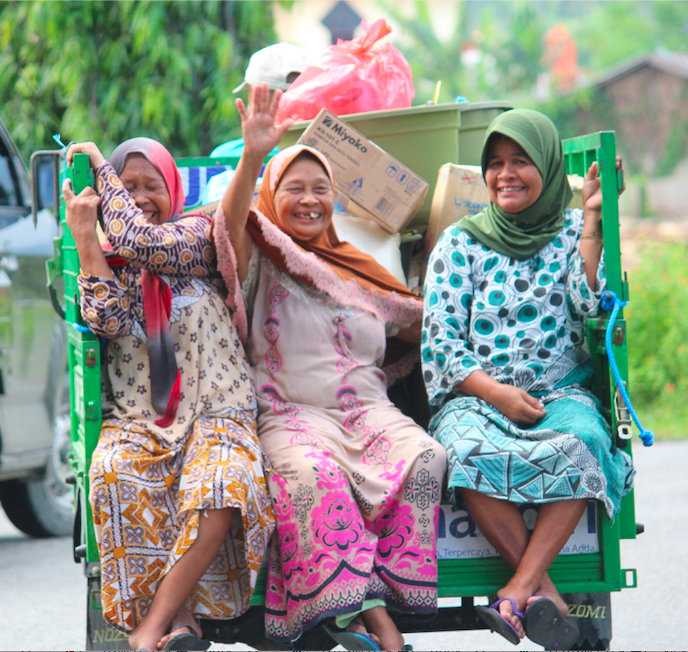 In Palu, you can find signs all over the city saying ”Palu Bangkit!” (Rise up again, Palu! )” People are trying to encourage each other for restarting their lives. 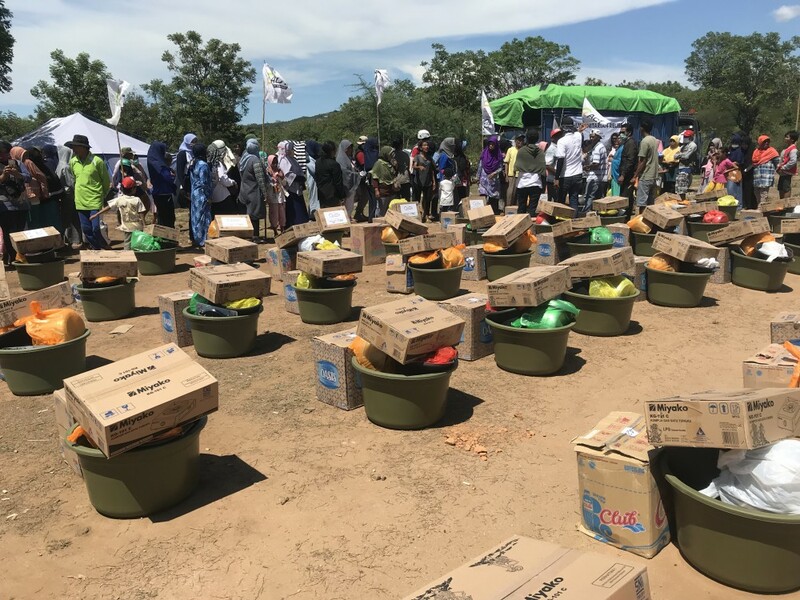 The rainy season has started in the region, and with the daily temperature over 30C degrees makes it especially difficult for those who are living under the temporary shelters such as tents are having to face the heat and humidity every day. The concerns for the worsened hygiene environment are also increasing. Four months have passed since the earthquake struck central Sulawesi island, however, there are still many families living in make-shift tents at temporary shelters scattered around the area. 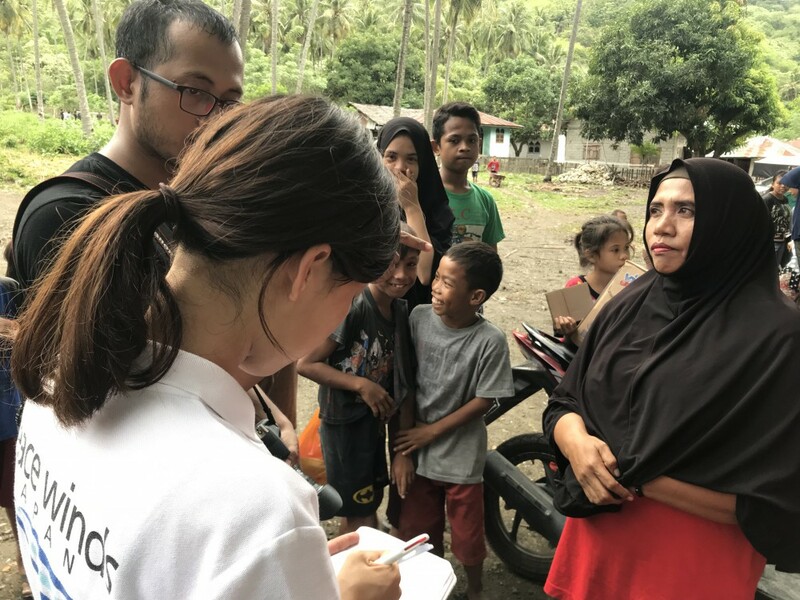 Soon, PWJ and ACT will begin a construction of temporary housing complexes so that families living in evacuation shelters can gain access to better living conditions. This project has been funded by Japan Platform, as well as supporters from PWJ and ACT. We sincerely appreciate your continuous generosity.